Carpenters have their hammer, Surgeons their scalpel, and Mountain Guides have their rope. I can’t think of too many other pieces of gear that I use on such a regular basis. Sometimes I’m in mountain boots (read my review of La Sportiva's Trango Extreme Evo Light), sometimes in rock shoes, some days I place ice screws for protection, some days nuts and cams, but almost always I have a rope with me. Recently I had the opportunity to test the new Sterling Ion 9.5 mm rope. I put over 40 days of hard use on it. Over 50 pitches of ice, 25 pitches of rock and even several gym session mega-whippers. I would be lying if I said the rope looked brand new, but compared to some other ropes with similar use, the Ion is still standing and ready for many more deployments into harms way. Pros: Very durable, easy to coil and uncoil, feeds for lead belays very smoothly, overall weight for such a durable rope is quite good. This will be one of my go-to ropes when I only need one for cragging or shorter multipitch days. Cons: No factory middle mark (the middle mark is a great tool), when belaying two ropes at once from a top belay (auto blocking device being used) the Ion did not feed/pull as well as some other ropes in its class. For guiding multiple clients this makes my work a little harder and puts more strain on my elbows. If you are looking for a durable rope in this size range I would put the Ion high on your list, as this rope will be at your side even after heavy use. This article has some great info. When you need to learn more about outpatient rehab then this group will help you because, they’ve got the knowledge and know how. 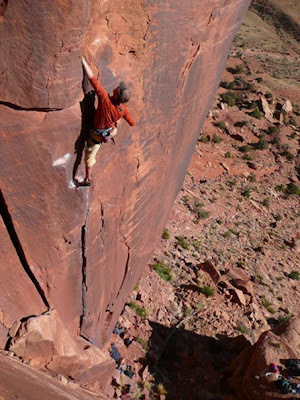 That is a fantastic picture, I really admire the will and passion of climbing, you guys have a lot of "cojones". 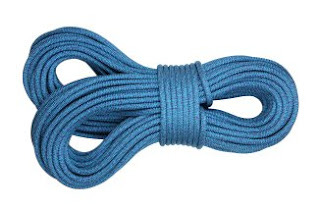 This rope is very safe, very recommendable for beginners! For over 10 years I was an addict and needed bipolar rehabilitation help. When I got the help I needed, I could start living my life again.